On a chilly evening In the winter of 1966, sometime around the beginning of basketball season, a young, 22 year-old Spanish & French teacher at West Junior High School, new to Akron, without a social life, or many acquaintances, let alone friends; walked up the front steps of the St. John Lutheran Church building downtown, opened the front doors, walked down the basement stairs and entered into the gym to play basketball. Photos courtesy of Emily Keeler. 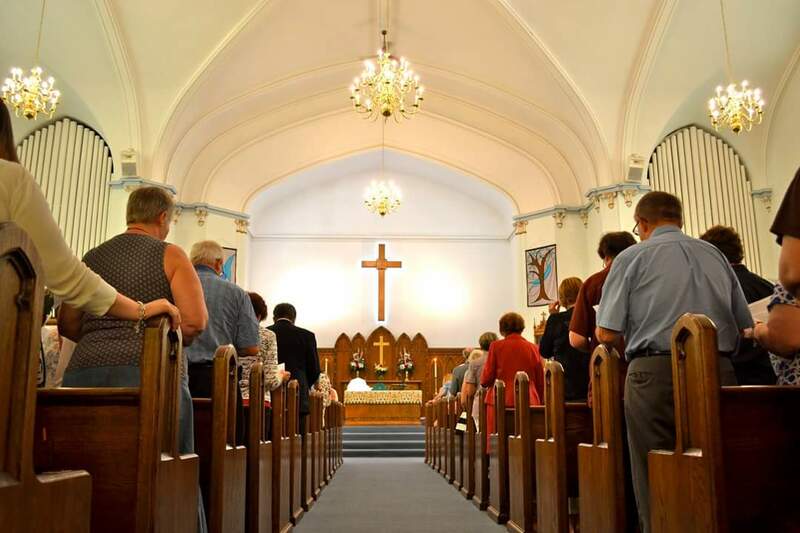 How can I describe, then, how it felt to stand before the congregation on Sunday morning, July 12, to preside at the final worship service in that place? It wasn’t easy. Bittersweet perhaps best describes it. I don’t know how frequent an occasion it is when a bishop presides at the closing of a church building that he once called home. The range of emotions I felt cannot begin to compare to those who have worshipped there far longer than I. Back in the day when I sat in the pews, the building was known only as St. John’s. After a merger in the 1980’s, they became St. John/St. Paul. Now, they will be known as Faith. Not only that, they will have a new address: 2726 West Market Street. 282 West Bowery Street will become a memory. So we gathered one final time to give thanks to God for the mission and ministry that has taken place at the corner of Bowery and Cedar, the site of St. John/St. Paul Lutheran Church for the past 101 years. Yes, there was be some mourning. There were tears shed. But there was also rejoicing. In my brief time as Bishop, this was the second building I have closed in the last seven months. But in the case of St. John/St. Paul, the legacy of the ministry that was done in this building will live on at a new location. The words of the assigned lectionary reading from Ephesians struck a chord and I used it as my focus text for the homily I preached. And there are many that have benefited from that inheritance. Many youngsters ran up and down the basketball court. That wasn’t just kids playing a sport – that was evangelism. 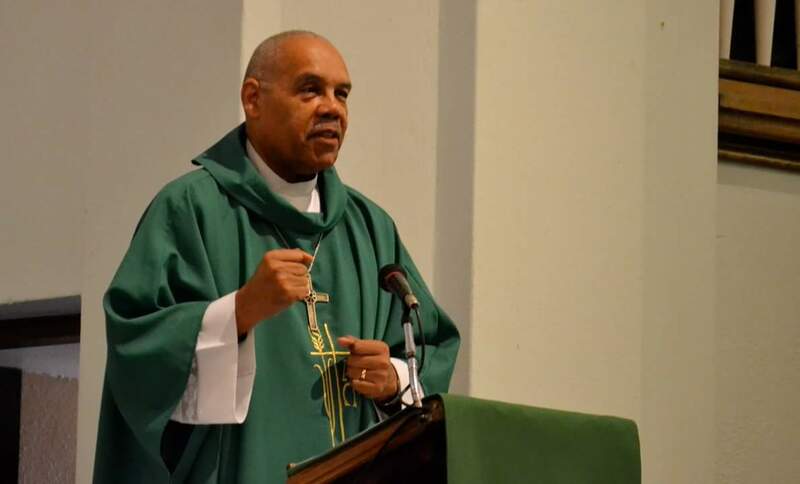 Consider also the Oasis outreach ministry that had its beginnings there; the Pastoral Counseling Service, which will continue to be located there; the Northeastern Ohio Synod, which had its first home there on the third floor for over a decade after the formation of the ELCA. There were also several members from its congregation who were sent into the vocation of ministry. Photo courtesy of Emily Keeler. Then there are all those words of the Lord that have been spoken – all the baptismal water splashed, the hymns sung, the marriage vows exchanged, the faithful departed commended to God, the prayers offered, the wine and bread shared, the candles lit and extinguished. 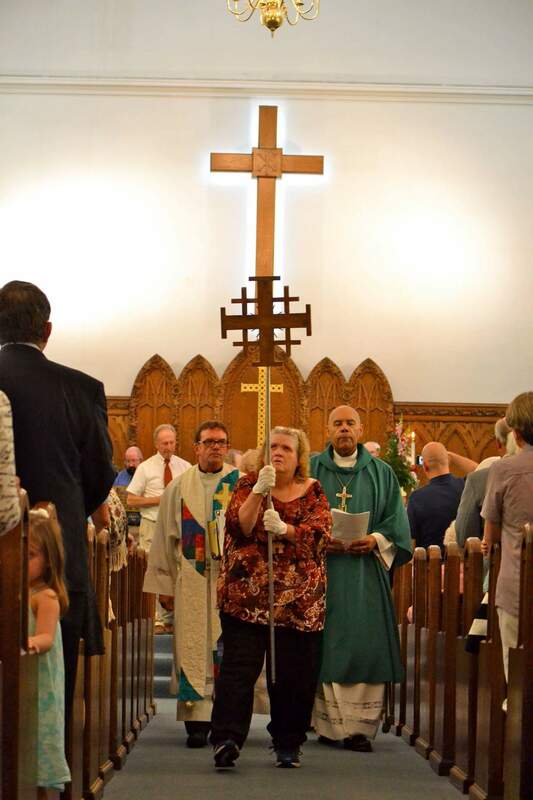 In our Lutheran rite of the closing of a church building, we say three prayers asking God’s blessing on the places of word and sacrament; one at the pulpit, one at the baptismal font, and one at the altar – symbols of God’s grace in our lives. With thanks to God for the work accomplished in this place, I declare this building to be closed in the name of the Father, and of the Son, and of the Holy Spirit. May the witness of the people who have ministered in the name of Jesus Christ through name of St. John/St. Paul be undiminished and continue as they leave this place. Amen. This is the second time in seven months that I have had to make that declaration. The first one was difficult because it was the first. [See: A Postscript on Bethlehem, January 22] This one was difficult because it was the church that shaped my faith as a young adult. I was emotionally invested in this closure. I know that these two will not be the last. But amidst the shadows of despair, I do see the dawn of hope. And there is hope. Our hope is set on Jesus Christ. And we who have set our hope on Christ, will live for the praise of his glory. 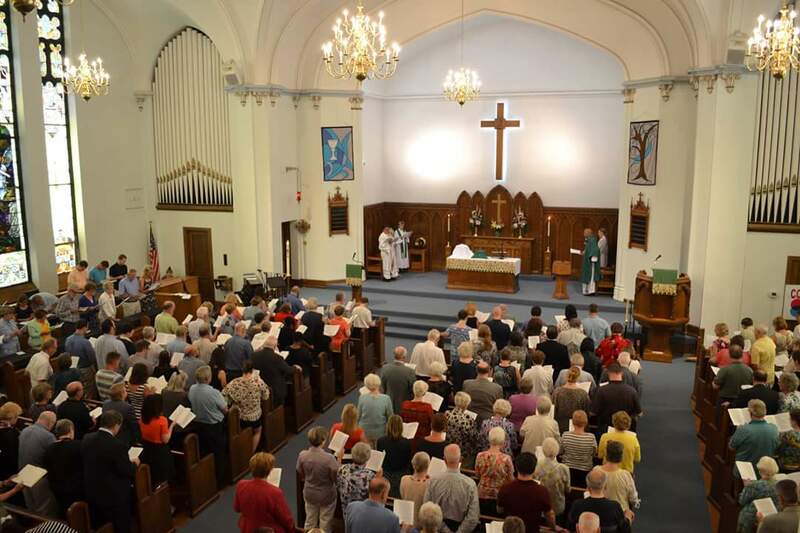 [The Akron Beacon Journal published an article on the congregation in the Monday, July 13, 2015 edition. Click on the date to view the story.